Steven joined the Employment Team at Aaron & Partners LLP as an Associate Solicitor in January 2019. He is based at our Chester office. Steven graduated from University of Wales, Aberystwyth, with a degree in Law and he completed the Legal Practice Course at the College of Law in Chester. 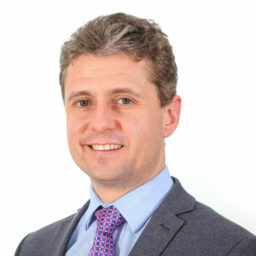 Steven qualified as a Solicitor in 2009 having trained at a reputable regional practice in North Wales. Since qualifying as Solicitor, Steven has specialised in all areas of employment law and acts for employers and employees in relation to both contentious and non-contentious matters. Prior to joining Aaron & Partners, Steven worked as an Associate Solicitor at a Commercial & Private Client law firm in Liverpool City Centre. Steven provides bespoke training, and conducts seminars and workshops on behalf of clients in relation to all areas of employment law.